Just started shopping at ALDI, and don't know what to expect? ALDI carries its own house brand of groceries. So don't expect brand-name items. ALDI doesn't carry every single kind of grocery you might need. It carries the most commonly used items. You probably will not be able to 100% of your shopping there. However, you will be able to get all the basics. ALDI only has a few varieties of each type of item. For instance, for canned beans they carry kidney beans, black beans, lima beans, dried white beans, and refried beans. So I have to buy the canned white beans for my Garlic-Parmesan White Bean Mash elsewhere. If you're looking for many varieties of items, this is not your place. ALDI carries fresh produce. However, they do not have the variety that you might find in a regular grocery store. 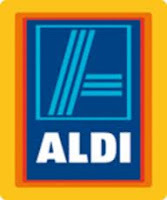 ALDI does not have an onsite butcher. However, they do have prepackaged fresh and frozen meats. ALDI does not have a fresh bakery onsite. They do have a small selection of prepackaged breads, cookies, and cakes. ALDI does carry some basic health and beauty aids as well as paper goods, but their choice is limited. ALDI does not have an onsite pharmacy or other grocery store amenities. Prices at ALDI are generally cheaper than the regular prices at grocery stores. However, if you're willing to combine coupons with sales, you can probably get better prices on many items at grocery stores. If you don't want to do this, or don't have the time, then ALDI is the place to go. ALDI does not take credit cards. You can pay with cash, debit cards, or EBT cards. ALDI does not accept coupons, other than their own store coupons. You need to deposit a quarter to get a shopping cart. You'll get your deposit back when you put the cart back. You need to bring your own bags, or pay for plastic, paper, or cloth bags. You'll also have to bag the groceries yourself - there is a shelf available to help you do this. Okay, now that you know what you can get, the next question is, what should you get at ALDI? Keep in mind that these are just my opinions, based on one year of shopping at ALDI. Milk: In my area, ALDI milk is $2.79 - $2.99 per gallon, whereas milk at the grocery store is $3.50 - $4.00 or more. Bread: at 99¢ to $1.29 per loaf, ALDI's bread is much cheaper and very fresh. Produce that is on special this week: At my store, the sales-priced produce is on the end of the aisle. These are almost always an excellent deal. Tortillas: At 99¢ per package, these are far cheaper than the grocery store, and I have rarely seen coupons or sales for tortillas. Instant oatmeal: At my store, a 10-package box of instant oatmeal is $1.39. At the grocery store, a name-brand box is over $4.00. Even with sales and coupons, the price rarely goes below $1.50. Baking goods: Flour, sugar, and vanilla are cheapest here. These items can go on sale during holiday seasons but generally are only available at full price. Food items that rarely go on sale or have coupons. What foods fall into this category depends on what sales are available in your area. For me, this would include hard cheeses, cottage cheese, cream cheese, butter, 100% juices, canned beans, mushrooms, salsa, applesauce, and tuna. I'm sure there are many other types of foods that fall into this category. Produce that is not on sale: The prices at ALDI are generally a little less than the grocery store. However, if you can find an independent grocery store, produce store, or a farmer's market, you should be able to beat the regular prices at ALDI. Cold cereal: The cheapest kind of cold cereal at my ALDI costs $1.59. At least one brand of cereal is on sale pretty much every week at your typical grocery store, and with coupons the price can be reduced to under $1.50 per box. Lemon juice: I have found much cheaper lemon juice at a local market which specializes in Hispanic goods. Health and beauty items, paper goods, and medicines: Buy at CVS or Walgreens - you can get them for free or very cheap there. Click on the links to find out how. I can only speak for what I buy at ALDI. I don't have any expertise about meat, most frozen food, or junk food. What do you think is a good deal at ALDI, and what do you think others should avoid? Leave a comment below! I agree with everything you said up there. I do get my toilet paper there because the thicker brand name TP tends to clog our toilets. We love their snack items. Their version of ritz crackers, peanut butter crackers, cheez-it, and chips are great. Especially the $0.99 tortilla chips. I also regularly buy their frozen items. We like their chicken nuggets just at well as Tyson, and we like to get the pot pies, and popcorn shrimp/breaded fish fillets for lunches. LOVE LOVE LOVE aldi. I do find better meat prices and sometimes produce prices at my local hispanic stores so i shop the sales there, but Aldi's produce is higher quality from my experience (i've seen lots of people comment that Aldi's produce is never fresh, but i've honestly never had that problem except for some soft avocados and moldy strawberries, but they were in the process of unloading a new shipment as I shopped). Thanks for your insight, Amanda! Like I said, I just simply don't buy certain items there. We buy kosher meat at a specialty store, we don't eat a lot of frozen vegetables in my house, and we don't get much junk food for health as well as well as financial reasons. I may revamp this article with input from others, so please leave comments if you have anything else to add! Great article! I love Aldi! Generally I find that it's the cheapest place to get sugar, oatmeal,chocolate chips, and cheese. Though their produce isn't the best, so I typically price match at Walmart. Love Aldi's for the staples. I always smile as I leave the building! VEggies, Fruits & Canned meats ++. Thanks for sharing! I love the quick frozen chicken,the frozen 100% beef hamburger patties, the ground turkey as far as meat goes and the other day I found 20 oz package of meatloaf for $1.49 (had a sell or freeze by date a couple days away). Reduced for quick sale stuff is always great. And I love that if you buy something and you don't like it or if it is bad, they will give you the money back and let you get another item free. I got a watermelon one time that turned out not to be good inside. I just bagged it up, took it back and they gave me my money back and told me to go get another one. So buying from ALDI is no risk. Excellent and informative post! I have a few questions: Does Aldi have organic milk and organic eggs from free-range chickens? Can a person who eats "clean" and mostly organic find suitable foods at Aldi? Thank you! If you have a lot of allergies as I do and need organics as I do then Aldi probably wouldn't be the place for you to shop. However, my family is not allergic to the things I have to avoid so I can get some of their snack items and such there oh and also their coffee is cheaper and this year they have a pumpkin flavored coffee that I can have and it tastes good also. I buy 90% of my groceries at Aldi's. I love the produce, whole wheat flat "sammies" and their pasta selection. I typically only buy the ground turkey because it is a name brand but the hamburger meat from them was pretty low grade. They are a great organic line at my store in Milwaukee! I found I save a LOT of money at Aldi! I buy all my cheese and butter and cream there. I always look at their "deli" section... and when they have the goat cheese rolled in fruit.. OH I buy a lot up! SO good. Their candy is really good too. And their selection of chips. they have some really rocking sweet potato chips. I LOVE ALDI.